How can I view my reading on a Phone, Tablet (or iPad), how can I open the file? We understand your frustration as we have had the same thing happen to us... Read below for our solutions to this problem. and it will unarchive the zip file we send you, and let you view/print your readings (both PDF and HTML), save them to Dropbox, or even share them to your computer. iUnarchiver Pro is really amazing for letting you manage your files and readings we send you, you can create folders to move them into, use Air Print to print them on an Apple Air Print compatible printer as well as move them to Dropbox, it's a great utility to have and is the best we could find at this low price. It's been updated for iPhone 6 as well, but should run fine in iPhone 3, 4, 5, or 6. The best thing about PDF Cabinet is that after you open the file (you can annotate it as well). You can open your reading(s) directly from your Apple Mail program, just press on the Attachment which shows up at the end of the message (see photo below), and then select to Open In -> PDF Cabinet. Refer to the PDF Cabinet help documents on how to highlight your reading(s), make notes on them, and comments that you can save for later and then upload them to DropBox for storage. When will my reading be delivered by email? I have not received it yet and I ordered it a while ago? Please be patient as your reading order must be prepared by a real person. Most orders are filled within 4-6 hours, though it may take longer on weekends and holidays, read more below. Many orders are filled within 4-6 hours, and sometimes much faster (1-2 hours) during business days in the USA. If you order on the weekend it may take up to 24-48 hours to receive your reading (on the following Monday) as we are not in the office on weekends, or on holidays. Where is my reading? I have not received it yet and I ordered it quite a while ago and I get your other emails in my inbox? This is our most common question. It does NOT matter if standard TheDreamtime.com emails go to your inbox. Why? Because they do NOT have your readings attached to them. Unfortunately all email providers (aol, gmail, yahoo, hotmail, livemail, etc.) are blocking, or stopping all emails from being delivered to you if they see that the email has your reading(s) attached. This is the only sure way that they can prevent or block spam messages from being delivered to you. Don't worry, there is a solution, read below. Method #1.) The method you should try if you have not previously received readings from us. First have a look in your Junk Mail, or Spam Mail folder for a date/time within 1 to 2 days of when you ordered your reading. All readings are sent out within 1 to 2 days of when you placed your order. First make sure you are looking in the correct folder, in Yahoo it is: Spam, in HotMail it is called: Junk, in Google (gmail) you have to click on 'More' and then the Spam folder. You can usually find the Folders along the left side of the page (appearing as little folder icons). Once you are in the folder (by clicking on the folder icon, or name), it's likely that most of the recent emails will be dated way into the future (as these junk mail senders are trying to get to the top of your folder). You will have to delete the emails that appear like this first, before you can find mail from TheDreamtime. Delete all email with dates into the future (most will have years way in advance of the current date such as 2025, etc). Keep deleting these emails as there may be hundreds, until you get to the current date (most email providers will let you select an entire page of emails and delete them and this can help you delete many emails at one time quickly). Look for your reading email coming from TheDreamtime.com, it will have a subject of the reading that you ordered, for example: The Dreamtime Astrology Reading - AstroCartoGraphy Explained. Now open your reading email and find your reading(s) attached to the email. Some email programs will also let you click a link (after you are reading the email from TheDreamtime) that lets you: 'Add Sender to Contact', or something similar, such as 'Move To Inbox', or 'Mark as Safe', or 'Mark as Not Spam', etc. You can use those links to telll the mail program that mail from TheDreamtime is safe and should always be delivered to your inbox. But, it is better if you follow our White Listing instructions to guarantee that you always receive your readings that are sent to you, as some providers continue to delete email with large attached files even if you have us in your contact list. Method #2) This works only if you have previously received Readings attached to email from us previously (as in a previous order). If your email service allows it, it may be easier to do a Search In your Mailbox for: thedreamtime . Keep in mind, that you may think you are searching all of your email, yet most of the email service providers do NOT search Junk or Spam mail when doing a Mail Search. Yahoo is one service that does not search Spam mail when you enter your search, so it will not help you to search your mail using Yahoo, or any email service provider that does not search Junk or Spam mail. (in this case you must follow option #1 above and search your Junk or Spam mail folder manually - to find email coming from us within 1-2 days of when you placed your order. To search your Mail find the Mail Search box, or Search Mail box, in Yahoo it is 'Mail Search' and it appears above your inbox mail. In HotMail it is the 'Search Emai' [BING] box at the top right above your inbox mail. In Google (Gmail) it is 'Search Mail' box above your inbox email. Type in: thedreamtime (all one word) and press Enter, or click the [Mail Search] button (Yahoo! ), the Magnifying Glass (Hotmail), or the [Search Mail] button (Gmail). I'm sorry it has to be this way, but all email providers will block emails with attached files being sent to you unless you tell them you are allowing emails to be sent to you, from us. I cannot open my reading it is gibberish? If you have Windows 10, Windows 8, Windows 7, Windows XP, or Vista you can uncompress the file, by using File Explorer (Right-Click from the Start Menu), and then Right-Clicking on the file (.zip file) and selecting 'Extract All'. Zip file folder options in Windows XP. Alternatively you can use of the options below, especially if you have Windows 2000, Windows 98, or some other earlier version of Windows, or a Macintosh Computer.
. A free evaluation version is available. After extracting all of your files click (single-click) on the files that appear in your extracted folder, to read your reading in the appropriate software. If your reading does not open, make sure that you have Adobe Acrobat Reader (if the file is a .PDF file), and/or Microsoft WordPad, or Microsoft Word (if the file is a .DOC file), Microsoft Paint, or some other image editing software (if the file is a .BMP, .GIF, or JPG file), any HTML Browser (if the file is a .html file - as most Numerology Readings are). How can I open my reading when it is a PDF file? If you have not yet installed Adobe Acrobat Reader to your computer click the following link to install it. The link will will open a NEW page in your browser. ==> Click here. Adobe Acrobat Reader has versions for both PC and Macintosh computers. The PDF documents here can be opened and read on either a PC or a Macintosh with Adobe Reader. If you have already installed Acrobat Reader to your computer please go to the next step. In order to download the PDF file RIGHT CLICK with your mouse on the link. If you use Internet Explorer click "Save Target As..." - Netscape users click the "Save Link As" option - and a new window will open with the contents of your computer. 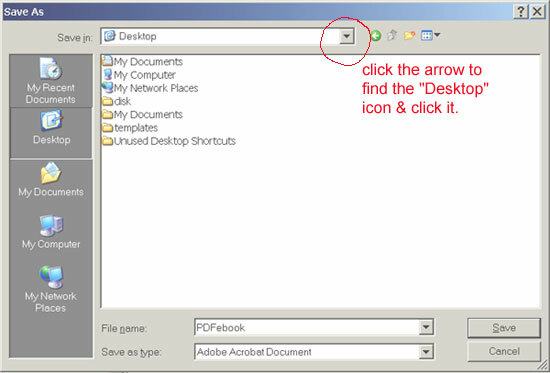 Note: You're advised to save the file to your "Desktop" but you can save it to any folder you can easily find. A good idea is to create a folder in your computer, name it as "Products" and then create a sub-folder for each product you order and download. Once you have downloaded the file, open your Adobe Acrobat Reader software and click File/Open. Find the file inside the folder you saved it and double click it to open it. How can I uncompress or extract my reading file when it is a ZIP (.zip) file? I do not find the reading I ordered when I uncompress the file, I only see a different reading than the reading that I ordered? How can I get the reading I ordered? You may be seeing the 'Bonus' reading that was included with the reading that you ordered. When we send your reading we combine (compress) several readings into one file. After you have 'Extracted' the file look in the folder where you find the reading that is 'different'. You will find the other reading(s) there as well. Please use the methods recommended to 'Extract' your files (Extract All), as indicated in the FAQ question: How can I uncompress, or extract my reading file. If the reading you see that is 'different' has your name on it, then you will know it is your bonus reading. You will find the 'other' reading you ordered in the folder where you extracted your readings as explained above. What do I do not know my exact time of birth, or the time of birth for someone else that I am ordering for? Do I need to enter my full name when sending my Astrology Information? No a full name is not required for Astrology. If you wish to remain anonymous or you do not want your name appearing on a reading, just enter the first & last initials in the First Name/Last Name entry box on the order form. Astrology (natal astrology is the most common type) uses the exact positions of the planets (including the Moon) at the time of your birth to identify characteristics and traits in your personality and others that are related to you, or that you are romantically interested in. We have the science of Astrology because an ancient civilization studying the stars realized that specific traits and circumstances arose around planetary, star and constellation systems as they revolved around the heavens. The accuracy of Astrology has been documented by many, including psychologists. Compatibility Astrology indicates potential mates (husbands, wives, boyfriends and girlfriends) by determining which traits match up best with your own. There are generally two different methods for calculating a compatibility chart - a synastry chart combines the charts of each partner into one, while a compatibility chart looks at the overall compatibility of each of the two partners charts separately. For more answers about Astrology see our Astrology Planets section. Numerology was developed from the principles of Pythagoras, who most likely learned of them in Egypt. The Pythagorean principles assigned concepts, and also traits to the numbers 1 through 9. Throughout time there has always been a system in place to convert letters of the language alphabet system (used for that language) into numbers, because much of the time there were no other methods for counting. As these traits came to be known for each letter, they eventually were vibrationally attuned to the letter that they were assigned to. Modern numerologists (such as L. Dow Balliet, and Juno Jordan) worked with these ancient number traits and developed a method to assign these calculations to the date of birth, and the name given at birth. Eventually Kevin Quinn Avery developed some of the techniques even further and applied different methods (Pythagorean, as well as Chaldean: Magi Transition, and Hebrew: Kabbalah/pyramid) to take Numerology even further. Most recently Brett Simpson (our resident numerologist) has advanced the field further by studying in-depth Foreign Language calculation methods as well as expanding the number system to a Base 12 System (digits 0 through 11) instead of the older more traditional Base 10 System (digits 0 through 9). Using the numbers derived from the letters in the alphabet, which differs for each language, basic reduction calculations can be used to come to basic single-digit, and double-digit numbers that are derived from each person's name, and date of birth. These are the traits (and calculations) that we work with in modern numerology, plus additional calculations that were developed exclusively by The Dreamtime after preparing hundreds of Numerology readings. For more information on Numerology see our Numerology Meanings page. How are the Soul Urge, Heart's Desire and Outer Expressions calculated, I get a different number for mine when I use other calculations? At The Dreamtime we use the first name only when calculating Soul Urge, Heart's Desire and Outer Expression. Brett has found that these numbers to be more vibrationally correct when doing the readings, if they are calculated this way. The reason that the first name only is used is because it represents your personal self; the one that others see you as, since this is the name you hear most frequently throughout the day. Note that all of your names (both Birth Certificate and Current/Married Names) are used for calculating your Personality Matrix, Inclusion Chart and your Planes of Expression which are all included in the Professional Reading. All of your names are used, both your current name(s), and your birth certificate name(s). If the first/last name were used instead that would represent your business self. If your first/middle/last name were used it would represent your legal self (or total self). Brett has found that the personal self best represent your Soul Urge, Heart's Desire and Outer Expression and that is why he uses the first name only for those calculations. This varies somewhat with the Compatibility Numerology Reading where Brett has found that the full birth certificate name works better for most calculations when looking for compatibility traits between two people. If you ask for a different calculation, using the entire birth certificate name, we can do that as well, but we prefer to use the first name only. Remember that if you ask for it, we can make the calculation based on your entire and full birth name if you wish. Just email a quick request that the full name be used and the reading will be calculated that way, or re-calculated for you and emailed to you with no extra charge if the reading has already been completed. For more information visit our Numerology calculation methods page at: http://www.thedreamtime.com/spirit/num_methods.html#soulurge is available. When is 'y' or 'w' used as a vowel in Numerology? A 'w' is never considered a vowel and is always considered a consonant in our numerology calculations at TheDreamtime.com. A 'y' is usually considered a vowel, and sometimes a consonant as explained below. A 'y' is a vowel when there is no other vowel in the syllable (such as Lynn or Carolyn). It is also a vowel when it is preceded by another vowel and the two vowels have one sound (such as Hayden). Many numerologists do not consider 'y' a vowel in any other situation, however I have also found that it is a vowel at the end of names (such as Anthony), and just about anywhere else, as long as it is not the first letter in a name, and it does not have a 'ya' (or yeah) sound, such as Yvonne. Here is a short table showing the 'y' sounds in numerology. Do Tarot readings answer specific questions? They have the potential to answer very specific questions, but many times those answers appear as symbols, rather than direct replies. It is sometimes best to phrase your question as a yes or no question (with only two possible replies), that way it nat be easier for you to interpret the answer you receive from the cards. If you are comfortable with the symbolic replies, than asking an open-ended question can be very enlightening. Choose the type of question you ask based on your experience in working with, and receiving tarot readings in the past. Tarot is a symbolic way to divine past, and possible outcome events based on the vibrational energy of cards chosen by the querant (you). In most tarot readings you choose your deck, and select a number of cards (that feel right to you) from that deck and place them on a specific layout ot template for the representative quality, trait or event that you are wanting to find answers for. The beginning of the use of tarot cards for divination is not fully understood, but it is believed to have started with cards used in playing a card game. Eventually those cards were separated into two very distinct groups: the major arcana, and the minor arcana. The major arcana, in general do not appear in normal playing card decks.Beginning with the Fool card, numbered 0, and ending with the World card at number 21, the major arcana will walk you through a full cycle of life experience from start to finish, life to death. While the cards may represent specific stages in your life they are definitely laid out in a linear fashion with the major arcana best imagined as a series of circles. Included inside of these circles (which are intersecting, and ever changing) are the minor arcana. The minor arcana can be thought of as representing the people (or events) that may cross your path, creating different levels of self-awareness and challenges or restrictions depending on your awareness at any current moment. Because events and people are ever-changing, each reading can be thought of as a snapshot of one moment in time. This snapshot can be related to a goal, event or dilemma that you are facing. By including reversed cards (those that may be upside down when chosen) naturally in a reading, the picture may start to become clearer by offering even more alternate interpretations. The minor arcana are divided into four elements or suits; generally referred to as swords, pentacles, wands, and cups. Each suit contains cards numbered ace through ten, and four court cards, and represents the progression towards completion of the goal as it relates to that particular suit. The swords are the state of mind. They are reason, refer to knowledge and honor, and correspond with research, science, assets, liabilities, weapons, the legal or other systems, rights, ideas, reputation and security. The pentacles are the state of body or being. They refer to your place or role in society, and to all things physical. They correspond with life and offer results, goods, services or pleasures that can be tested or experienced by the five senses. wands relate to willpower, belief and communication, and they refer to philosophy, perceptions and personal convictions, corresponding with talent, ambition, energy, performance, magic, and arousal. The cups are the emotional state and relate to matters of the heart. They correspond with the pursuit of happiness, trust, devotion, love and purpose. The court cards of each suit are generally known as the page, knight, queen and king, ranging in experience from novice to master. They describe your own personal situation or goals, and they identify other people or personalities with whom you may come in contact and/or by which you may be influenced. By using your computer as a medium and choosing one of our Tarot readings you can be sure that the outcome and your interaction with the cards will be accurate and beneficial for you. Our extensive tarot reading interpretations were written by Nancy Garen (the author of Tarot Made Easy). The tarot card images are high quality and include several popular decks for you to choose from. Each tarot spread is either based on a historical spread, or was designed exclusively for TheDreamtime to help you achieve greater understanding and awareness in assisting your personal growth. Our readings may help you find possible outcomes, solutions, strengths, results, or natural occurrences. They provide you with detailed, and interpreted practical information solely for your clarification (whether it be on your personal perspective, or to validate a new, or desired course of action). A reading may give you valuable insight into circumstances or events. After receiving the reading it is up to your own personal involvement and how willing you are to account for personal development and events, which will hopefully unfold according to your own unique expectations. Are my readings guarantee - what if I'm not happy with my report? Yes they are. Every one of our readings come with a full one year guarantee. If you are not happy with your reading at any time during the first year, just let us know and we will refund the full amount to you. We accept the major credit cards: Visa, Mastercard, American Expres and Discover. We also offer you the option of paying with PayPal, if you like. PayPal can be useful if you live in a foreign country, or you have a debit card that is not accepted by our payment system. As a very last resort, if you cannot get either of these systems to work for you, you may send payment by Money Order (in US Dollars) to us at: The Dreamtime, 2220 Solomon Ave, South Bend, IN 46615, USA. To pay by money order, please be sure to send a copy of the ordering page, and include all information required for your reading, birth date, time, name, etc..
No, your order is emailed to you electronically, we do not charge an extra shipping/handling charge for preparing your order. If you ever do wish to have your reading printed/mailed to you (on paper), please contact our customer support department to find out the cost..
Is it secure for me to pay online with a credit card? Yes, it is completely secure. We use a 256-bit secure (SSL) connection when you enter your credit card information. We do not store any credit card information on our server, as it is only used to transmit to our processing bank for approval. We use a GeoTrust secure certificate. Sites secured by GeoTrust SSL certificates provide up to 256 bit encryption and offer you the highest level of encryption and security possible. This means you can rest assured that communications between your browser and TheDreamtime.com web servers are private and secure. For an up to the minute look at our security see this page at GeoTrust. When will I receive confirmation of my purchase? You should receive an order confirmation/receipt immediately after you enter your payment information and your purchase is approved. If you do not receive a confirmation, please contact customer support to let us know that you may have entered an incorrect email address when you placed your order. This will allow us to make certain that we have the correct email address for you when we send your reading to you. How do I find my order and check the order status? You can check the status of your order at any time using our Order Lookup found on our Contact Us page. To check your status, visit our Contact Us page, enter both your order number, and the email address that you used to place the order and click the 'Lookup' button to see the status. If the status is 'Completed', that means that your reading has been emailed to you. All readings are emailed within 24-48 hours, and sometimes with 2-4 hours (if we are in the office at the time when you place your order). How bookmark my reading in my browser? If your reading was delivered to you as .html (HTML), or as a .pdf (PDF) file you can bookmark your reading in your browser for later reading. Most browsers will let you bookmark a page, please see the help menu for your browser on how to do this as it is different for each browser. Remember that we send your reading to you so if you want to have a saved copy (archive) to keep it is suggested that you copy your reading to a CD drive so that you will have a backup copy. Are Astrology Readings, Numerology Reports and Tarot Readings available by Email? Yes! This is are preferred way of sending your readings. After you enter your order information we will prepare your reading(s) and send them to you by email very quickly (sometimes within 1-2 hours, and always within 24-48 hours). How do I print my reading? If your reading was delivered as a PDF, or Word Document (or RTF document), open your reading and then select Print which is usually found on the File menu. If your reading was delivered as .html, open the reading in your browser, and the choose to Print your reading. You may wish to remove the headers, and footers that are displayed by default in your browser. See the help section for your browser on how to print without header/footer information so that your reading looks more the way you would like it. You could also remove most of the header/footer information but leave the page numbers in the footer if you like. TheDreamtime.com has a very generous exchange policy which matches our return policy. If you are unhappy with your reading, for any reason, for the first year that you own the reading, just let us know, and we will recommend that you choose another reading that you will be happy with, of equal or lesser value. We believe that our exhange/return and refund policy is not matched by any other company and there is one reason. We want you to be happy. When I try to order I see 2 readings in my shopping basket, I only want one, why is that? You may have accidentally clicked the 'Order Button' twice, or used your 'Back' button in your browser to try to correct a reading option. Don't worry, the easiest way to fix this problem and continue on with your order is to click the 'Remove' button next to the reading that you do not want, or that is duplicated, that will remove that reading from your basket, leaving you with one reading. If you need to make a correction to a reading option (such as changing birth date, time, or place, or other option), please place your order, and then followup with us by email by contacting Customer Support, and let us know the correct information. I cannot remember every reading I ordered, how do I see what I ordered before? Our ordering system remembers everything you ordered (for a lifetime)! But, if you placed some orders without using your account (by choosing 'Guest Checkout'), then they will not show up in your order history. That is why it is always important to login to your account when you make a purchase.After logging in to your account, you can choose the Review Orders/Re-order button that appears at the top of your Account screen. Click that button to see all of the previous orders you have made. Please use only our Customer Support form to contact us. Otherwise we might not find your email in the many hundreds of emails we receive each day that must be blocked. If however you do use our Customer Support form, we will always see your question, and reply to it, because it shows up in the Control Panel of our Shopping Administration screen, we can't miss it! Use this Contact Customer Support link, enter your email, name, subject, and select the correct 'Send To' department. Click Send My Question to email us. You will receive notice that your email has been sent, and we will also. We will reply within 1-2 business days..